With a book so rooted in the devotional tradition invented or revised for the English people, Alan Jacobs reminds us of its use for social and political control. A vernacular resource emphasized the unity of responses commanded by King Henry VIII for his new church. He and it demanded conformity. Beginning in 1544, Archbishop Thomas Cranmer wrote and disseminated the first Book of Common Prayer, exactly what its title promised. The Book of Common Prayer recapitulates the fall of man, the coming of the Savior, the Last Days, and the Second Coming and the Last Judgment. It also guides the believer through more stages, of life from birth to death. The day’s own rise and fall provide another backdrop, from Matins to Evensong. Finally, time itself turns more manageable, conveyed through Cranmer’s accessible and uniform prayer book. That watch at Gethsemani had soon lagged. Similarly, reviving passion for what proved all too familiar verses rendered by Cranmer dulled the long-range impact of The Book’s power. Subsequent chapters move across English history, as dissension grows between conformists and non-conformists politically and religiously. Meanwhile, the Empire expands and brings the little book to many lands, who then strive to adapt it in turn to dominions and their own cultural shifts away from the island’s polity. While the reader unfamiliar with The Book’s contents may not come away from this brisk guide thoroughly informed as to its details and organization, the pleasure remains as one discerns through famous readers the latent impact of its material, often forced upon generations far from the fervor of Cranmer’s mission. Among these, Samuel Johnson took comfort; however Jane Austen, and William Thackeray sighed at its tiresome recital. By the WWI, the distance between The Book and reality, gauged in the trenches, led to protest, four centuries after Henry and Cranmer. The 16th century diction seemed nonsense to many raised on compulsory services, full of woe, in intricate syntax. The old Book, the voice of those who sanctioned slaughter, had to go. Ritual dimmed and a renewal of The Book in modern language and simplified expression led to the 1928 revision. While this was passed in America, it failed to pass Parliament in Britain, again showing the endurance, if attenuated, of the old guard determined to remain faithful to the venerable standard. While Professor Jacobs underplays the tension over liberal Anglican and Episcopal factions with conservative ones around the 1928 book itself giving way to another revision in 1979 for the United States and 1980 for the Church of England, the drift away from the Cranmer edition continues, now to evoke the struggles as a modular, structural approach replaces the basis on language as innovations continue among restless congregations and their overseers. With the rise of technology allowing far more novelty and reshuffling of the pages, furthermore, the survival of the original prayer book itself appears threatened, as binders and electronic media, photocopies and PowerPoint, supplant the efforts of Cranmer. 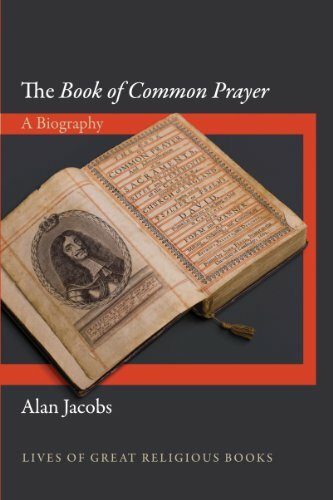 Alan Jacobs offers a handy introduction to the cultural and social effects that the presence and promotion of this book provided for centuries of English-speaking worshipers. Within its final chapters, poignancy emerges as the original text fades; the Anglican Church, full of its own debates as again traditionalists and progressives contend for control, revises and updates its core text. Whatever devotion endures for Cranmer’s original, perhaps, may persist among a few lovers of antiquarian lore and elegant rhetoric in the pews—and a few devoted scholars.